Many of you are aware of my excessive interest in the patriot leader and Son of Liberty, Joseph Warren. 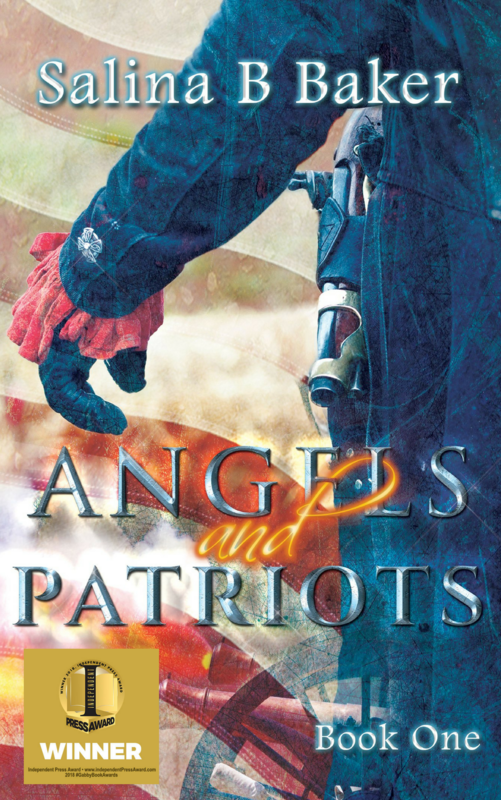 In fact, the first novel in my series, Angels & Patriots, is dedicated to Dr. Joseph Warren and another man, who was not an American patriot—Major John Pitcairn. I’m not sure at what point (or why) in my research, these men peaked my interest. Perhaps, it was because both men have largely been forgotten, yet they each played a vital role in the infancy of the Revolutionary War. I read and studied them until I felt I could make an attempt to write about them from their point of view, I perceived them as having some of the same characteristics— integrity, honesty, charm, and heroism. Both Warren and Pitcairn were mortally wounded at the Battle of Bunker Hill, on June 17, 1775. Their deaths were recorded in a 1786 painting by John Trumbull – The Death of General Warren at the Battle of Bunker’s Hill, June 17, 1775. This version shows the location of Warren and Pitcairn in the historically inaccurate painting. There is more information on Dr. Joseph Warren, (who died at 34) than on Major John Pitcairn (who died at 52). A biography about Warren’s life was published in 2012. I found no dedicated writings about Pitcairn aside from resources on the internet, and a video game, Assassin’s Creed III (2012), in which Pitcairn is ultimately assassinated. Pitcairn was cast as an antagonist in the TV mini-series Sons of Liberty (2015). I wondered why he was singled out as a “bad-guy” when history describes Pitcairn as having a sense of honor and the respect of both the Loyalists and the Patriots of Boston. After reading accounts of Pitcairn’s life, I tried to picture him as a man, not just a bunch of statistics, dates, and speculation. Ironically, there are no known likenesses of him. John Pitcairn was baptized at St. Serf’s, Dysart, a port town in Fife, Scotland, on December 28, 1722 (Old Calendar – 1723). His date of birth is not recorded separately, so it may have been the same day. In his early 20s, John married Elizabeth Dalrymple. Their first child, Annie, was born in Edinburgh in 1746, the year John was commissioned a Lieutenant in Cornwall’s 7th (Marines) Regiment. The couple went on to have six sons and four daughters. The Marines were disbanded for a time and reformed on a permanent basis in 1755. John retained his lieutenancy. In the Marines, commissions were not purchased. John didn’t reach the rank of Major in the Chatham Division until 1771, at age 48. His son, William, followed him into the Marines. In December 1774, as unrest spread in the Colony of Massachusetts, he arrived in Boston with some 600 Marines drawn from three divisions: Chatham, Portsmouth and Plymouth. The Plymouth Marines were not properly trained, had unfit officers, had no proper weather clothing or equipment, and were undisciplined. Some of the men sold their equipment to buy rum. Here, I saw John as a humanitarian with a sense of duty and responsibility for his marines. Not as a naive task master, but as a sensible mature man who understood that respect far out lasted threats and punishments. He found it hard to apply harsh discipline. By example and patience, he managed to drill them into shape. He lived in the barracks with his men to keep them sober and succeeded in gaining their respect. On the night of April 18, 1775, General Thomas Gage ordered a handpicked assembly of 800 troops to gather on the shores of Back Bay, in Boston. Their clandestine mission was to capture rebel weapons hidden in Concord. Gage assigned Colonel Francis Smith as officer in charge, with Major Pitcairn as Smith’s second. Pitcairn was in charge of the companies in the vanguard of Smith’s column of British regulars. These men weren’t Pitcairn’s marines; therefore, he was unfamiliar with them and their skills. When his vanguard marched into Lexington, led by Lieutenant Jessie Adair, they accidentally veered down the wrong road and marched toward Captain John Parker’s line of militiamen. Pitcairn was genuinely horrified. I tried to imagine his sense of urgency as he galloped across Lexington Green shouting for his companies in the van to halt and hold their fire. Still, a shot rang out, and eventually eight provincials lay dead. After the bloodshed later that day in Concord, the exhausted and frightened British troops retreated from Concord to Boston under constant rebel fire. Pitcairn tried to maintain order among the ragged ranks even after his horse was shot, forcing him to walk. Two months later, on June 17, 1775, John Pitcairn and his marines were ordered to stand ready as reinforcements for British General William Howe’s regulars as they attempted to march on a little rebel redoubt hastily constructed on the wrong hill on the Charlestown peninsula. I imagined Major Pitcairn and his marines as they rushed the redoubt; Pitcairn waving his bayonet at the rebels and yelling, “Now, for the glory of the Marines!” I wondered what John’s son, William, saw and thought when a rebel in the redoubt aimed his musket at his father. Did John Pitcairn see the man who was about to mortally wound him? What were his thoughts when he realized he had been shot in the chest? I’ve read that he knew the shot was fatal, but there had to be more rushing through his mind. Legend says he fell into his son’s arms, and was bleeding so badly that William was covered in his blood. History paints John Pitcairn as a brave sensible man even as he faced his own death. He was taken by boat back to Boston, and put to bed in a house on Prince Street. General Gage sent a loyalist town physician, Dr. Thomas Kast, to tend to Pitcairn. John was buried in the crypt of Christ Church, the Old North Church, in Boston. The fatal bullet and his uniform buttons were returned to his wife and children. John’s birthplace, the old manse of Dysart, was demolished over a century ago. The marble plaque John erected to his parents’ memory in 1757-8 in St. Serf’s was destroyed by vandals in the early nineteenth century, after the kirk fell into ruin. As a result, until recently there was nothing to commemorate John in his hometown. Borneman, Walter R. American Spring: Lexington, Concord, and the Road to RevolutionNew York: Little, Brown and Company, 2014. Print.